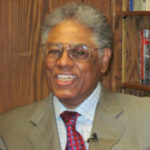 (by Thomas Sowell, Townhall.com) – “Education” is a word that covers a lot of very different things, from vital, life-saving medical skills to frivolous courses to absolutely counterproductive courses that fill people with a sense of grievance and entitlement, without giving them either the skills to earn a living or a realistic understanding of the world required for a citizen in a free society. The lack of realism among many highly educated people has been demonstrated in many ways. When I saw signs in Yellowstone National Park warning visitors not to get too close to a buffalo, I realized that this was a warning that no illiterate farmer of a bygone century would have needed. No one would have had to tell him not to mess with a huge animal that literally weighs a ton, and can charge at you at 30 miles an hour. No one would have had to tell that illiterate farmer’s daughter not to stand by the side of a highway, trying to hitch a ride with strangers, as too many college girls have done, sometimes with results that ranged all the way up to their death. The dangers that a lack of realism can bring to many educated people are completely overshadowed by the dangers to a whole society created by the unrealistic views of the world promoted in many educational institutions. It was painful, for example, to see an internationally renowned scholar say that what low-income young people needed was “meaningful work.” But this is a notion common among educated elites, regardless of how counterproductive its consequences may be for society at large, and for low-income youngsters especially. The underlying notion seems to be that it is work whose performance is satisfying or enjoyable in itself. But if that is the only kind of work that people should have to do, how is garbage to be collected, bed pans emptied in hospitals or jobs with life-threatening dangers to be performed? Does anyone imagine that firemen enjoy going into burning homes and buildings to rescue people trapped by the flames? That soldiers going into combat think it is fun? In the real world, many things are done simply because they have to be done, not because doing them brings immediate pleasure to those who do them. Some people take justifiable pride in working to take care of their families, whether or not the work itself is great. Some of our more Utopian intellectuals lament that many people work “just for the money.” They do not like a society where A produces what B wants, simply in order that B will produce what A wants, with money being an intermediary device facilitating such exchanges. Some would apparently prefer a society where all-wise elites would decide what each of us “needs” or “deserves.” The actual history of societies formed on that principle — histories often stained, or even drenched, in blood — is of little interest to those who mistake wishful thinking for idealism. At the very least, many intellectuals do not want the poor or the young to have to take “menial” jobs. But people who are paying their own money, as distinguished from the taxpayers’ money, for someone to do a job are unlikely to part with hard cash unless that job actually needs doing, whether or not that job is called “menial” by others. People who lack the skills to take on more prestigious jobs can either remain idle and live as parasites on others or take the jobs for which they are currently qualified, and then move up the ladder as they acquire more experience. People who are flipping hamburgers at McDonald’s on New Year’s Day are seldom flipping hamburgers there when Christmas time comes. Those relatively few statistics that follow actual flesh-and-blood individuals over time show them moving massively from one income bracket to another over time, starting at the bottom and moving up as they acquire skills and experience. Published May 29, 2012 at Townhall.com. Reprinted here on Sept. 6, 2012, for educational purposes only. May not be reproduced on other websites without permission from Townhall. 2. Do you agree with Dr. Sowell’s assertion? Explain your answer.